In today’s time-strapped world, weekends offer a little free time to enjoy your life. But for many of us, it can also be used as a way to get ahead financially. There are countless stories of people who have gotten out of debt by using the money they earned on the weekends and in their free time. Luckily, everyone has the skills to make some extra cash in their spare time – as long as you’re willing to work for it. Below, we outline some of the best ways to make some extra cash on the weekends and in your free time – ranging from very casual work to things that you can become more intensely engaged in. If you love listening to music and consider yourself a connoisseur, you can make money while listening by reviewing music on sites like SliceThePie. A great way to make some money while doing something you truly enjoy (or don’t, depending on what you find). Consider using apps like EasyShift, WeReward and Field Agent – which allow you to pick up small tasks such as taking pictures, or answering a few questions on an establishment in your area and you can make a few dollars per task. Some mystery shopping companies have assignments that include visiting movie theaters and even going to the casino. Tasks are assigned by retailers and other businesses conducting research, and this can be a great way to make some extra cash by completing very simple tasks. Busy people sometimes need help with simple tasks. TaskRabbit is an app and website that allows you to browse for tasks and chores available in your area and complete them for cash. Tasks available can range from waiting in line to get tickets to an event, to picking up packages, to assembling furniture. If you have free time and skills, odds are you can make some extra money easily by joining TaskRabbit’s group of pre-approved workers. If you have a strange skill or a job you can do very quickly, consider selling it online. 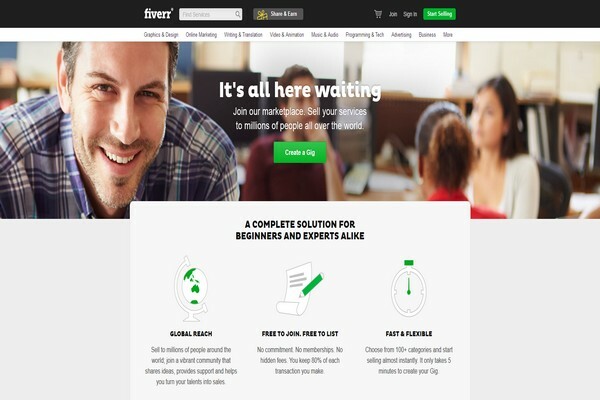 Sites like Fiverr allow users to sell things such as jokes, voiceovers, creepy stories, or cover letters to users. If you have a unique or creative skill, you can make a lot of money by completing short, easy, and often entertaining tasks at $5 per task. Chances are, you might have the skills and tools needed to make money in your neighborhood. Consider raking leaves, shoveling snow, or cutting grass for a fee. If you know how to fix computers, set up routers, or help with any general household handy-work, you can make a lot of extra cash through word of mouth. This can be a great way to foster a relationship with your community, and to make money casually and locally in cash. If you have a car and some free time, you can easy make some extra money by providing ride sharing, car sharing, and taxi-like services in your free time. Services like ZimRide allow you to sell seats in your car for trips you are already planning for up to $25. Relay Rides allows you to rent our your car by the day or hour (and provides insurance coverage for your car). Apps like Uber allow you to use your car as a taxi in your free time. Almost everyone has been a babysitter at one point or another, but many people forget that child care is a part-time option. Older candidates with complementary skills such as First Aid and CPR certification, nutritional backgrounds, or Early Childhood Education certificates can make quite a bit of money providing child care on the side. Try using websites such as SitterCity and Care.com to see if there is a demand in your area. Generally, you can charge at least $15 per hour per child, and can make more depending on your age and experience (SitterCity provides a rate Calculator that might help you determine what to charge). You can also try local postings, and speaking with your coworkers, family, and friends to find babysitting opportunities. Any skill that you have is a skill that you can put to use in tutoring others. Some skills are more lucrative and in-demand than others, and depending on what you are teaching, you may be able to earn $50 an hour or more teaching in your own home or visiting students. To get started, determine what you would most like to teach, consider the rates you would like to charge, and start spreading the word. You can use Facebook, Twitter, and sites such as Tutor.com, the Princeton Review, and Kaplan to connect with students. But you can also go the old-fashioned route and use fliers, word of mouth, and contact with local schools to find pupils. If you spend a lot of your free time online, you may be interested in taking paid online surveys to make some extra money. Websites like SurveySpot and PineCone Research allow you to fill out a profile, and begin filling in paid surveys from home. 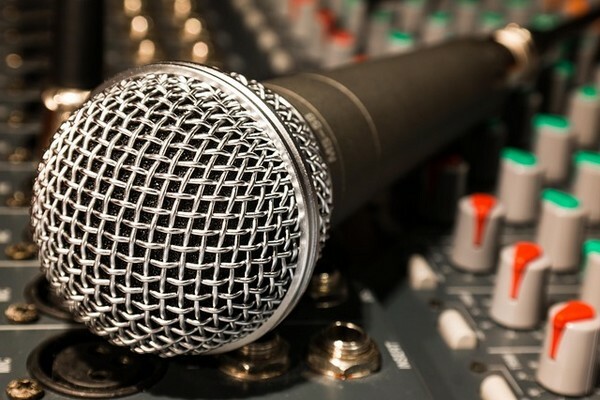 Focus Groups can be another great way to make some sporadic cash, but sometimes require that you participate in person (try FindFocusGroups.com to connect with these opportunities). Collecting and selling scrap metals and materials can be a really great way to make money through scrap yards. If you have metal or the opportunity to salvage pieces from old equipment, saving it for sale can be a great way to make cash with minimal effort – and as a bonus it allows you to help old parts be recycled! There is a reason that YouTube is one of the most visited sites in the world. While you may use YouTube mostly for entertainment now, many people have and do use YouTube as an income generating platform. All it takes is a viral video and you are in! If you love animals, you might want to consider becoming a pet-sitter. When neighbors, friends, co workers, or even people you can find online go on vacation, many prefer to have someone home with their pets rather than sending them to a kennel. If you are an animal lover, the job will come naturally – and sometimes you may be offered house-sitting as part of the job, a lucrative way to take a staycation. Just having a blog isn’t in and of itself enough to make money. However, if you have a niche to write about and the willingness to build up your content, you can build a community of followers, build advertisers, and eventually even be paid to produce content. That is how I was able to take my first blog from zero to over 100K in just about 2 years! It does take a lot of hard work and dedication, but the good thing is that you can do it on the weekend and in your free time. Plus, it doesn’t cost much to get started. All you need is a domain name which you can get from sites like NameCheap for less than $10, and a hosting account which you can get from companies like Bluehost for under $5 a month. We all have things we don’t need. With so many online options for selling, it is easier than ever to sell these unwanted possessions for cash. Try selling specific items online, posting them to a board like Craigslist, Etsy, Ebay or Amazon, or hosting a large garage sale. Anything you can’t sell can always be donated, and with minimal effort, it can be very worth your while to try selling your old things. Renting part of your house is not something everyone can do. However, if you are fairly comfortable with other people, travel often, spend a lot of time out of your house, or have a basement that you can slightly renovate, you may be able to make some side cash by renting. You can use sites like Airbnb to make the process safer and easier. If you live in a city with high demand, you can command a lot of rent for even a single room and shared common space. If you don’t want a full-time tenant, you might also consider letting people rent your home for occasional travel or business trips. Most people know about donating blood plasma, but some don’t realize that you can be paid $20 to $45 dollars for each donation at some clinics. You will have to provide some information and background to donate blood, but if you are in good health it is something you can do frequently for some spare cash while knowing you are helping others. This may sound like a strange idea, but wigs, weaves and extensions made from real human hair are in high demand and actually quite expensive. If you have hair to spare, consider visiting sites like Hairwork and Online Hair Affair, where you can sell your hair. You can also sell your hair locally, as well as on eBay and other sites, but be cautious about your buyer and ensure you are paid upfront and well for your hair. Donating eggs or sperm can be a great way to earn a large sum of money. Sperm donation pays a smaller sum per donation, but is far less invasive. Egg donations can be worth up to $3500 per donation (a donation is about 10 to 15 eggs), but does require a surgical procedure. While you can make good money, keep in mind that this process involves extensive testing, medical information, and sometimes a bit of patience. If you already love photography, consider licensing or selling your photos for cash. Flickr users can easily sell images through Getty Images, and you can also provide photos to Shutterstock, iStockphoto, and other stock photo sites to make money. If your prints are more on the artistic side, you might consider putting some up for sale on Etsy. If you love to craft, build, or create artwork of any kind, you can make excellent money through sites like Etsy. People have had success selling everything from knitwear to wedding favours, and the range of demand and what is sold is huge. In the age of the Internet, it is easy to forget that sometimes actual people are needed to review and complete certain tasks. There is a huge amount of work available online, with skill demands ranging from research to typing. Consider signing up for programs like Amazon’s Mechanical Turk, or ShortTask to find a range of available work. If you are knowledgeable about a subject and a capable writer, you can be paid to provide thorough, well researched answers to online communities. Try browsing sites like Just Answer to find opportunities. Quality and fresh content is always in high demand among webmasters and online marketers. If you are a skilled writer, you can use sites like Constant Content to write articles on the weekend and get paid. The amount of money you make on the side will depend on what skills you have, and of course on the amount of time and energy you are willing to commit. Consider your options, how much money you’d like to be making, and how much time you are realistically able to commit to your side project. With some hard work and creativity, you can use parts of your weekend to make some extra money to help pay a few bills.